Exactly how you complain if you’re having a problem with your new or used car will have a direct impact on the results you get. As a nation, the British aren’t great at complaining. However, sometimes it has to be done. After all, a car is a significant financial outlay. The very least we should expect is that it does what we paid for it to do without fault. But inevitably things will go wrong. Here’s what you do to make the best of those setbacks. Before you pick up the phone or fire up your computer, take a few minutes to think through your complaint. Andrew Beale, head of customer relations at Mazda, said. “You’re more likely to get the result you want if you have a clear idea of what you’re complaining about and what you want from the person you’re talking to. Write down the points you want to be addressed if it helps.” Doing this also helps you to work out swiftly if the person you’re talking to can actually help you, or if they’re stalling in the hope you’ll go away quietly. If you have a problem with a car, the first port of call should be the dealer you bought the car from. 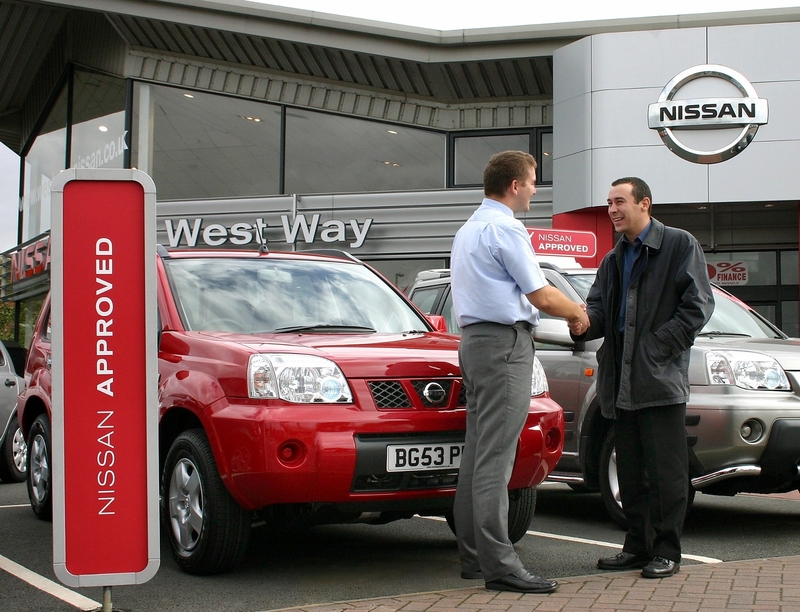 It’s pointless approaching the manufacturer of the car; they will simply refer you straight back to the dealer. However, if you try the dealer, feel as though you’ve given them a fair chance to sort the problem and you’re still not happy, contact the manufacturer. Aside from the fact that you bought something in good faith and it’s underperforming, there are other reasons not to feel bad about complaining. The vast majority – 96 per cent – of companies don’t hear from disgruntled customers. It means they don’t get objective feedback on their products. More switched-on companies will hope to use a complaint as a way of improving their products and turning the complainer into a loyal customer. How so? Research suggests 72 per cent of complainers who feel their grievance has been dealt with satisfactorily are more loyal to the company after complaining than they were before. Of the non-complainers, between 65 and 90 per cent will never buy from the company again and the organisation will never know why. How you complain to get results: The best medium? Email is the easiest medium for complaint but it’s the easiest for the company to ignore too. If you elect to complain over the phone, ensure you’re talking to the right person before you launch into your gripe. Remember that the person you’re talking to may not be able to take the complaint any further. If you’re not getting anywhere with a service adviser, ask politely to speak with the aftersales manager. Approach the situation calmly and clinically. For complaint handlers, the number one no-no is people who’re abusive. “You’re far more likely to want to help someone who is polite and who can convey what they want from you in a reasonable way,” one said. However, the calmer you are, the better. Remember: there’s a fine line between being assertive and being aggressive. Staying on the right side of that will improve your chances of success. If you feel like you’re not getting any joy from the dealer, take things to the car company. But again, you need to email the right person. “If you email Mazda’s managing director, all he’s going to do is pass it onto me and my team so it’s costing you time,” said Andy Beale. Mazda isn’t alone among car firms in giving customer service complaints handlers the ability to rectify problems without needing clearance from a supervisor. This is where part one of this guide comes in. Determining at the outset what a reasonable outcome is could help you. Mazda’s Andy Beale claims too many people who complain about things these days are too intent on getting some kind of financial compensation. The result is they forget what they really want from the company in the first place. And that is to have the problem with their car fixed. Makes an interesting read! Thanks for sharing.